​It&apos;s the first hot day of the summer. Uncomfortably shifting in your seat, you turn on that long-neglected AC knob, only to discover an unwelcome blast of warm air streaming out from the vents. A bad situation made worse: that&apos;s when you turn to us—your air conditioning service and repair headquarters. Did you know that without regular maintenance an air conditioner loses about 5% of its original efficiency per year? This means that without proper maintenance, your air conditioning unit may be performing as poorly as other models that are years older! Today&apos;s AC systems are fairly complex, and new improvements are always being initiated. That&apos;s why you need to turn to us, the qualified source for everything related to your air conditioning system. The following is a brief schematic of some of the basic components that comprise this system. ​The compressor is a belt-driven device that derives its name from compressing refrigerant gas and transferring it into the condenser. While basically acting as a simple pump, the compressor is the core of your vehicle&apos;s air conditioning system. The condenser&apos;s primary function is to cool the refrigerant. It is a heat dissipating apparatus that radiates heat released by compressed gases and condenses them into high pressure liquids. The location of your condenser depends on how new your car is, but typically it&apos;s found at the front of the vehicle, directly in front of the engine cooling radiator. ​The receiver is a metal container that serves as a storage receptacle for the refrigerant. It&apos;s also referred to as a drier because it absorbs moisture from the refrigerant and filters out particles of debris and harmful acids that would otherwise harm your AC system. Commonly located on the liquid line of the AC system, you should change your drier every 3-4 years to insure quality filtration and prevent any damage caused by these detrimental chemicals. ​The orifice tube (also known as the expansion valve) is a controlling mechanism that regulates the flow of refrigerant throughout the system. 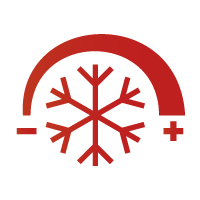 In addition to this, it also converts high pressure liquid refrigerant (from the condenser) into a low pressure liquid, so that it can enter the evaporator. Generally located at the evaporator inlet, the orifice tube could also be found between the condenser and the evaporator, or in the outlet of the condenser. The evaporator is designed to remove heat from the inside of your vehicle; therefore it&apos;s a heat exchanger that&apos;s vital to your vehicle&apos;s AC system (not to mention your comfort). The evaporator allows the refrigerant to absorb heat, causing it to boil and change into a vapor. When this occurs, the vapor is removed from the evaporator by the compressor, cooling your car and reducing humidity. Because the evaporator houses the most refrigerant in this heat transfer process, it is the most susceptible to corrosion by harmful acids. Usually this damages the evaporator beyond repair, which is why it&apos;s imperative you see us to prevent this from happening.